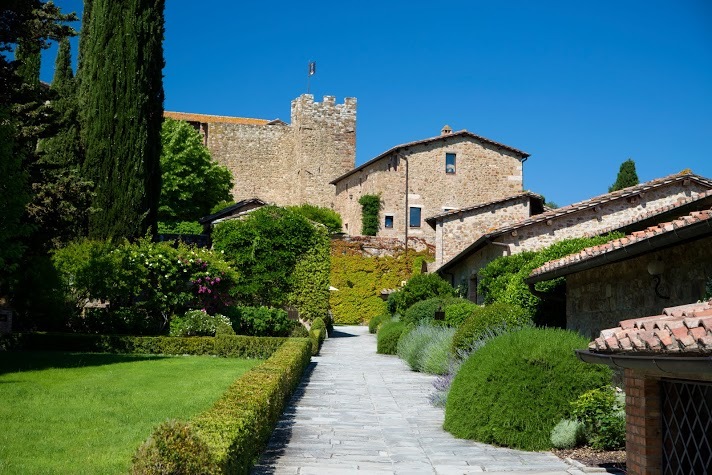 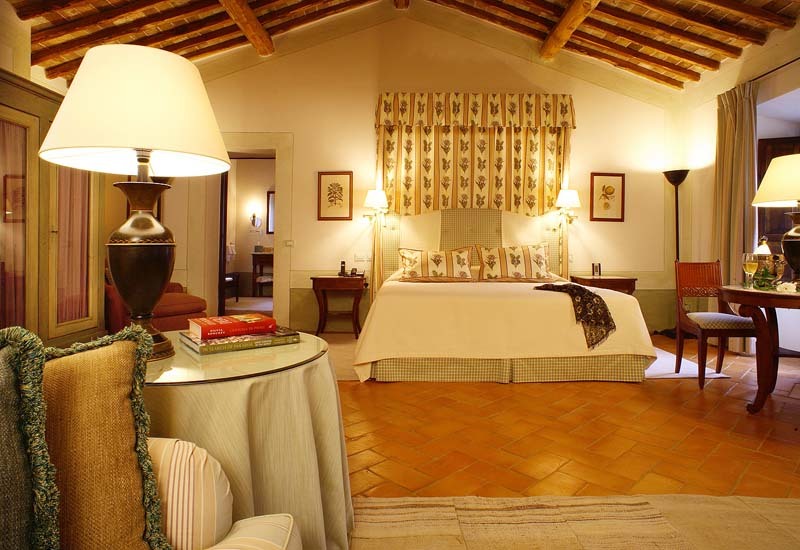 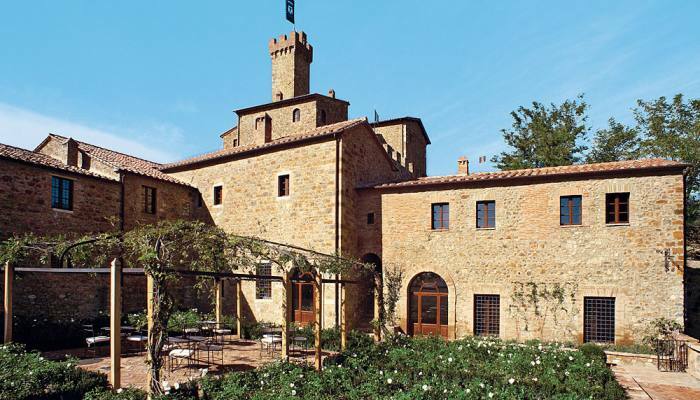 The Castello Banfi Il Borgo in Montalcino, Tuscany, is a boutique luxury hotel built into the famous Castello Banfi winery estate, makers of the world renowned Brunello wine. 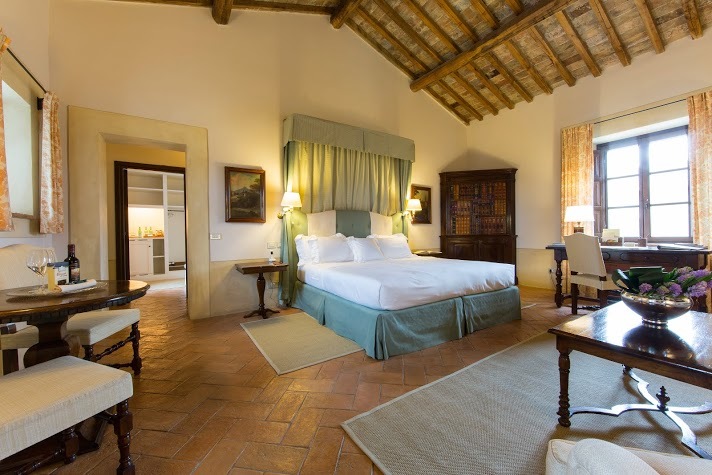 The luxury suites and rooms of Castello Banfi - il Borgo are nestled into the homes that were built alongside the medieval fortress, The castle, since re-christened Castello Banfi, is hospitality centre of the 7,100-acre (2,830 hectares) vineyard estate. 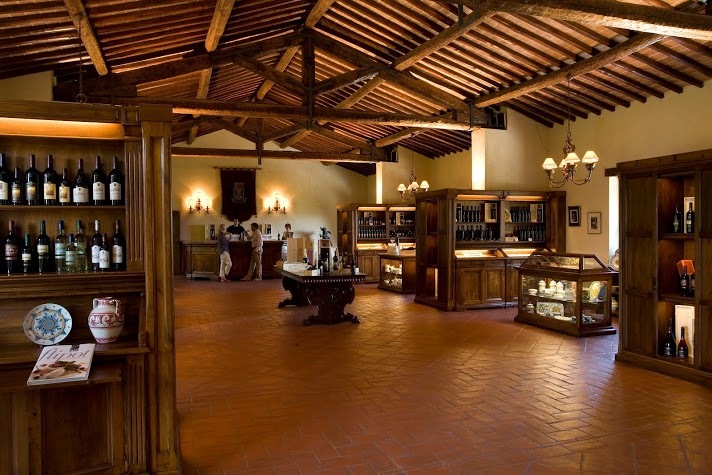 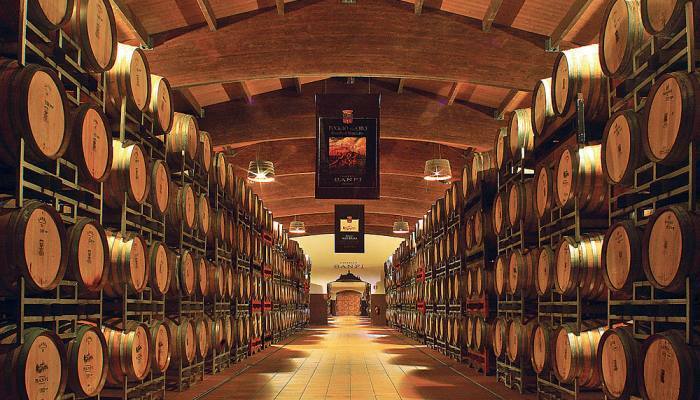 Guests are nurtured in a warm and refined environment with attention to detail, befitting the world of fine wine. 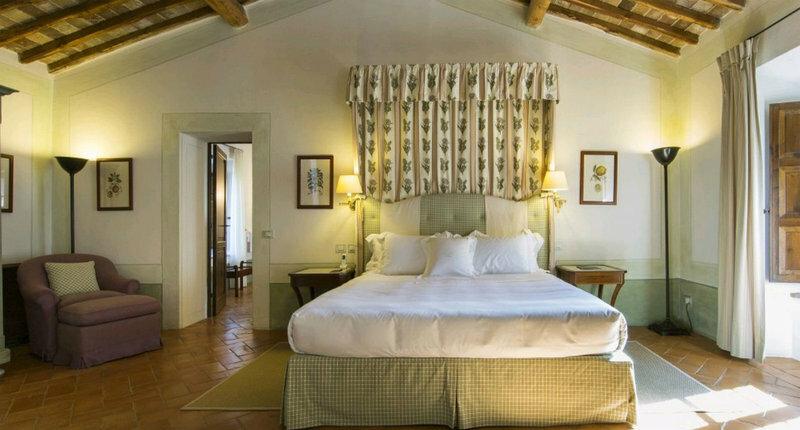 Culinary and cultural adventure, including cooking classes, wine tastings, vineyard treks and sightseeing, as well as simple relaxation, are the hallmark of these charming accommodations. 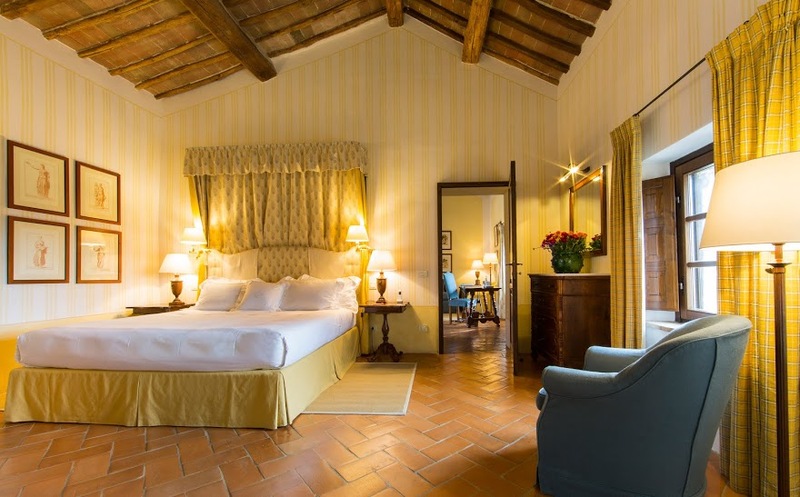 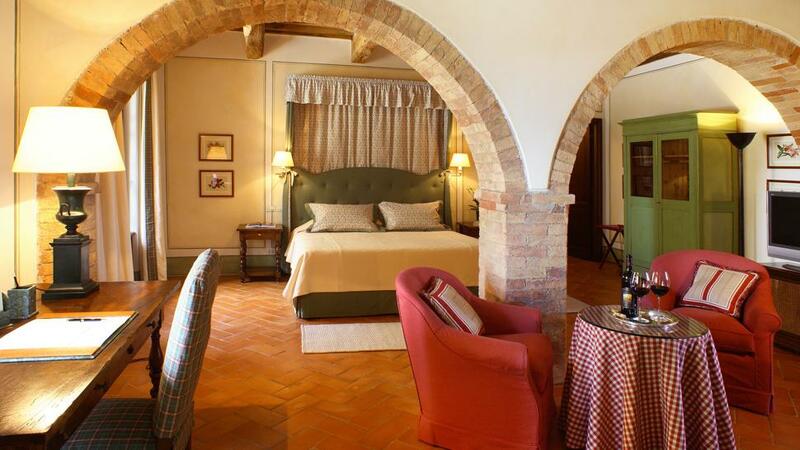 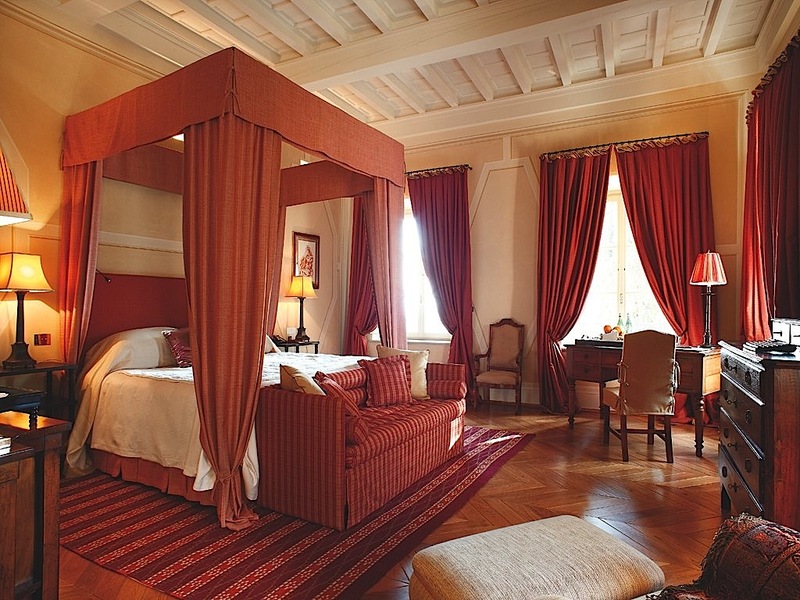 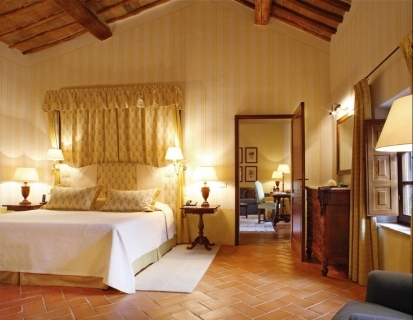 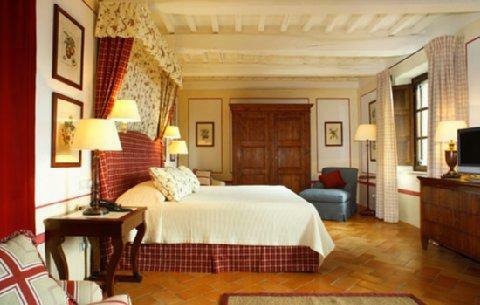 “Castello Banfi – il Borgo” offers 14 rooms and suites, varying in size, location and décor, all with carefully selected furnishings and fabrics, classic fixtures and luxuriant amenities. 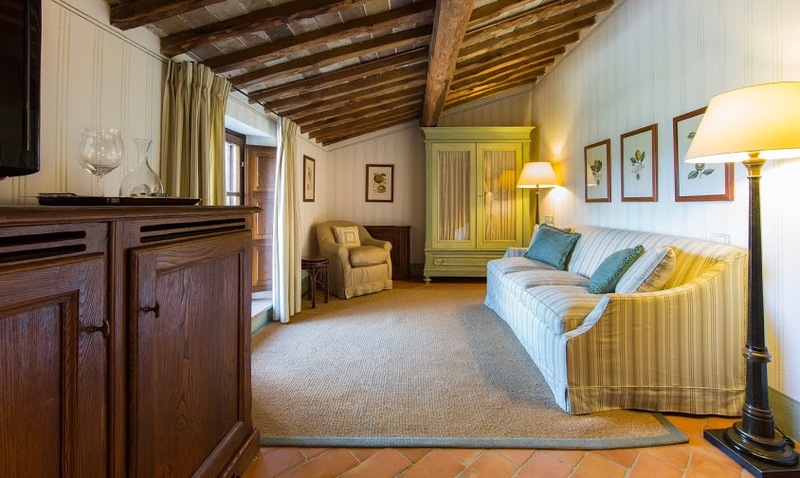 Each offers a King-sized bed, while the five designated suites are additionally furnished with a Queen-size sofa bed in a separate room. 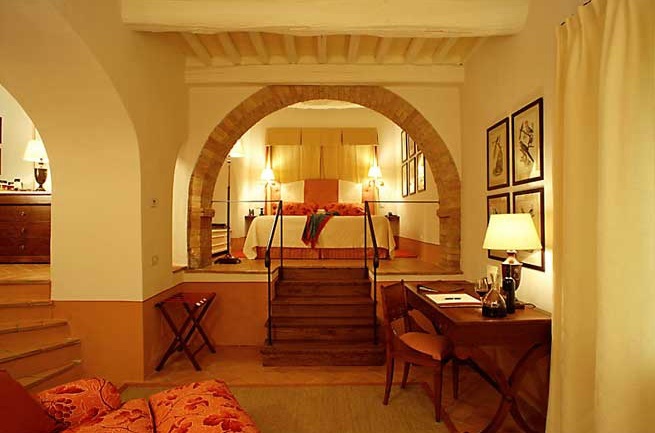 The beds in three of the rooms and one of the suites can be separated to Twin beds. 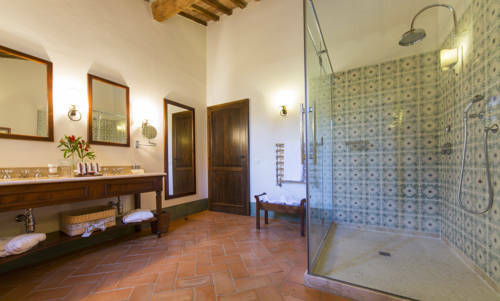 Each room is equipped with flat screen television featuring international satellite programming and radio with a selection of jazz, classical and contemporary music; high- speed internet connection, direct telephone lines, valuables safe, and a selection of complementary estate wines as well as a well- stocked mini bar with water, beverages, and light snacks. 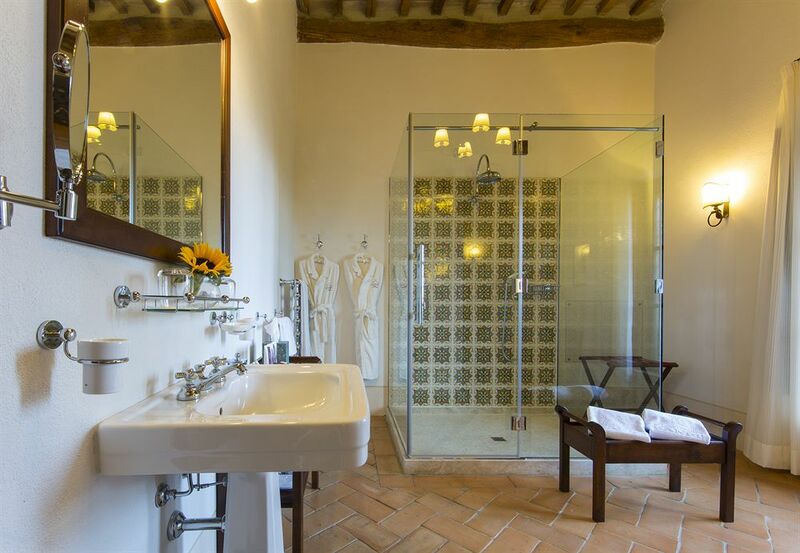 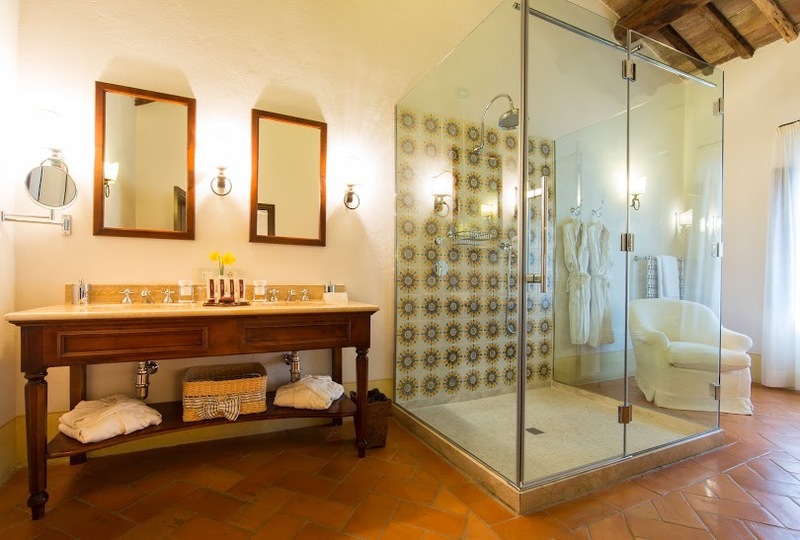 Well- equipped bathrooms feature professional hair driers, towel warmers, large showers with oversized rainfall heads; several have an additional bathtub, and bath amenities include bath foam, shampoo, conditioner and body lotion made from Sangiovese grapes grown on the estate. 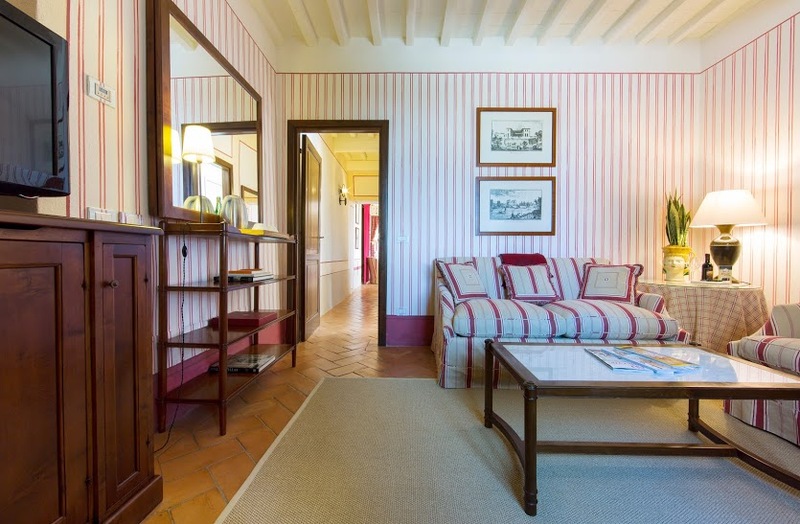 Each spacious room is painted and furnished in a different color scheme and appointed with eclectic themed artwork; several include a separate dressing area, writing desk and breakfast table. 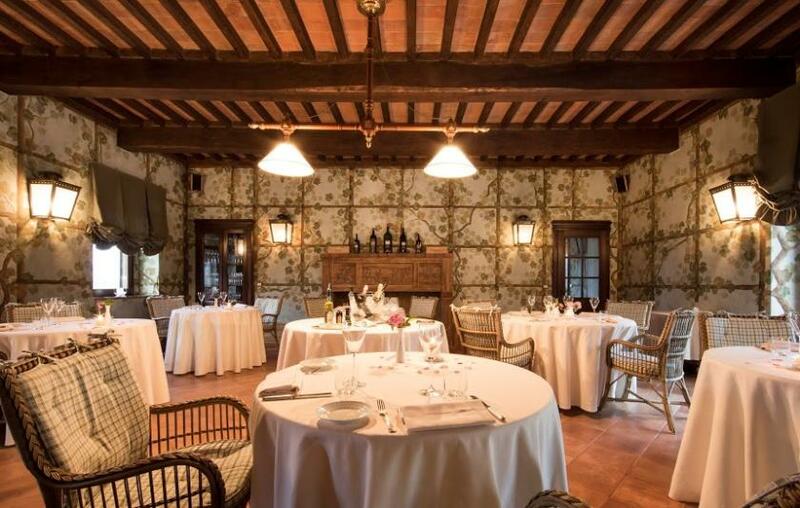 La Taverna – The Taverna restaurant is open for dinner exclusively for hotel guests who wish a more informal option. 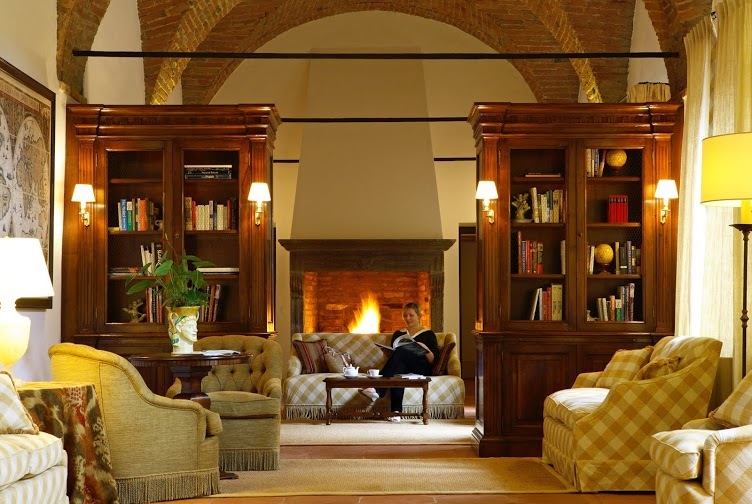 The Reading Room – Quiet space between the castle’s porticoed courtyard is furnished with backgammon and chess tables, a small library of the family’s favorite novels and travelogues, comfortable furniture and a warming hearth. 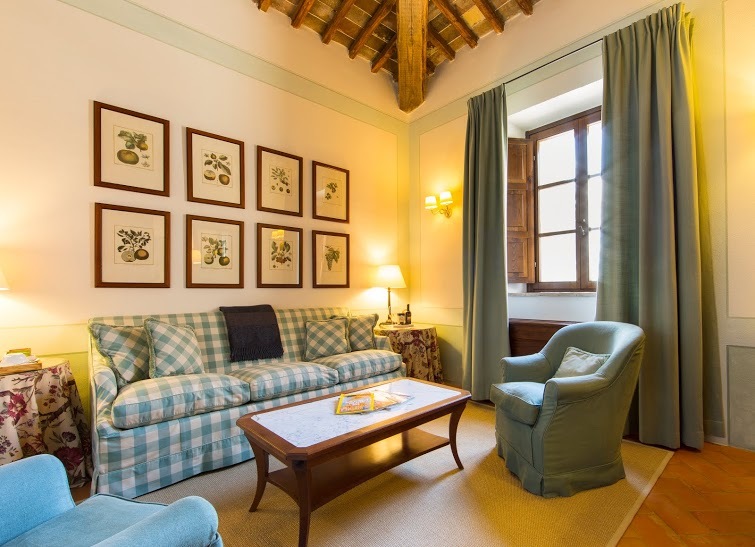 Breakfast Room – Tucked in a quiet corner of the Borgo, an arched room has been set aside to greet the morning with Continental and full Tuscan breakfast, featuring freshly brewed coffee, tea, home baked delicacies and other traditional dishes. 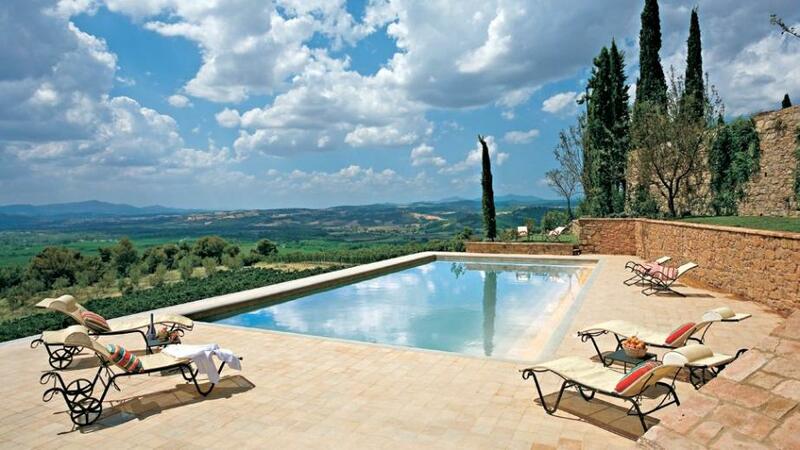 The Swimming Pool – Behind the castle’s western wall, a swimming pool is laid into the hillside overlooking lush vineyards and enjoys an envious vantage point for dramatic Tuscan sunsets. Fitness Room – An elliptical machine, exercise bicycle and free weights are suited to allow interested guests to continue their normal fitness routine while visiting Castello Banfi. 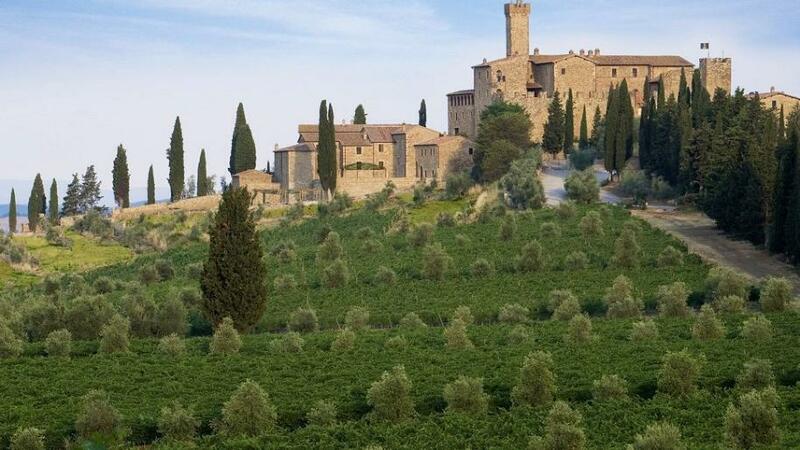 Special sessions with both traditional home cooks and the region’s leading chefs will be offered on a regular basis, along with range and vertical tastings of estate Brunello and Montalcino Super Tuscan wines, led by professional winemakers and sommeliers. 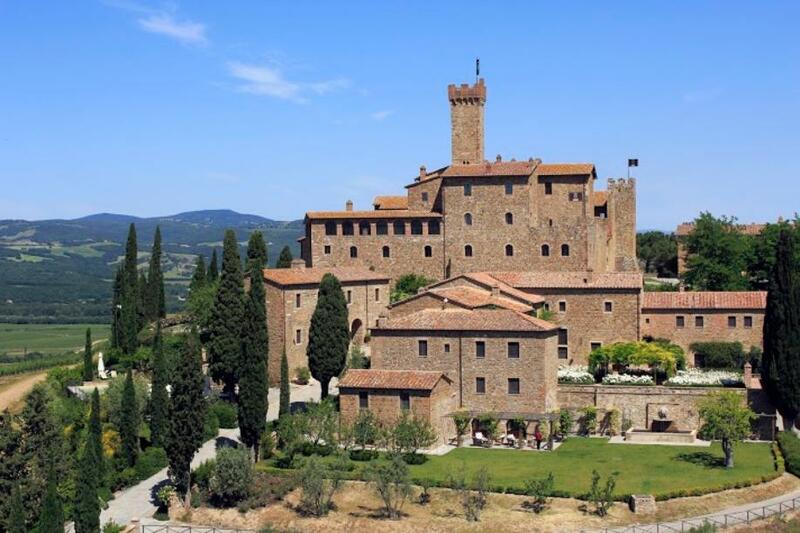 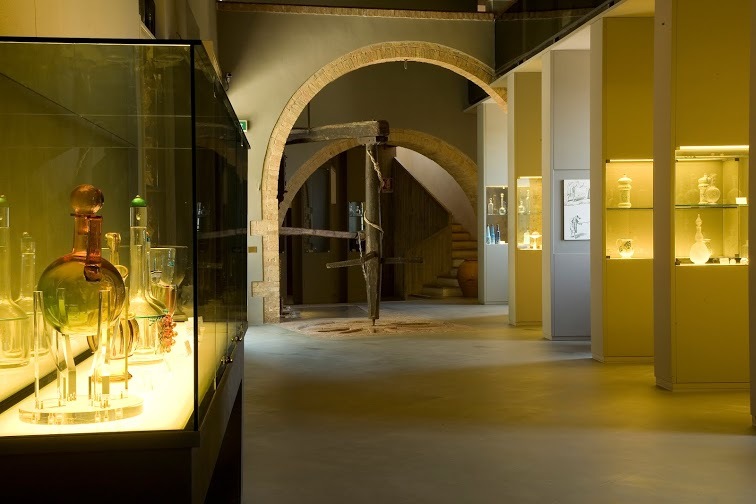 Castello Banfi is the sponsor of the Jazz & Wine festivals held in Montalcino each summer and winter, with concerts in town as well as on the estate. 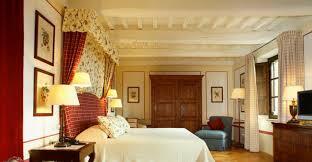 Special concerts of Classical Music and Opera are also planned. 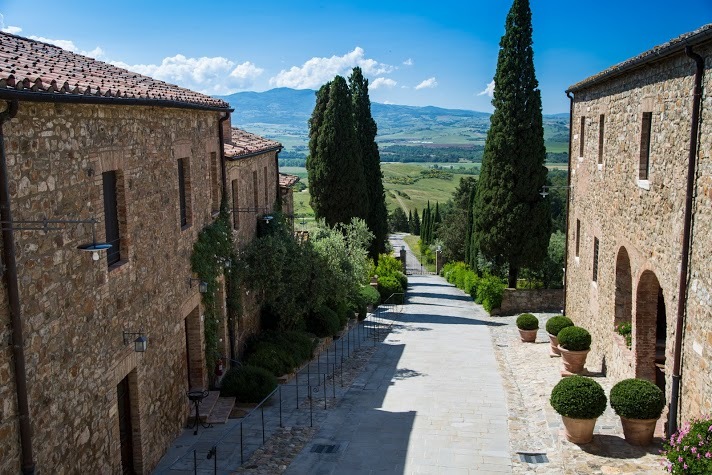 From among a wide range of customized activities, concierge can set up hiking and cycling itineraries on the estate and its surroundings; arrange for scenic tours of nearby towns, villages and cities; organize shopping expeditions; and arrange appointments and treatment at nearby spas.